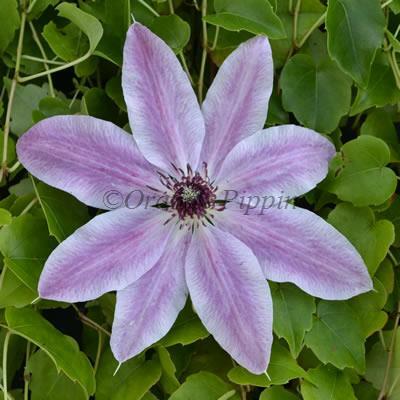 Clematis 'Lincoln Star' boasts gorgeous star-shaped raspberry-pink flowers with contrasting paler edges and maroon centres during May, June, then again in September. 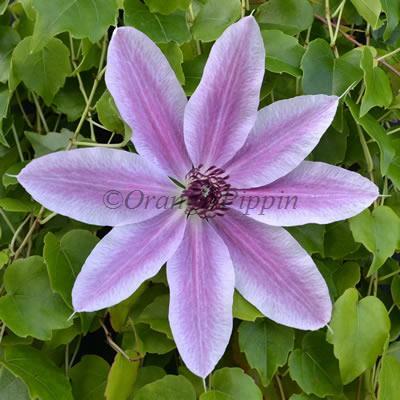 Clematis 'Lincoln Star' was raised by Walter Pennell of Pennell and Sons nursery where it was named in 1954. This non-evergreen climber can be grown in the garden against a wall, fence or trellis, or if space is an issue then it may be planted in a container on the patio trained up bamboo canes or an obelisk.